TiE Nagpur and iSPIRT – two iconic initiatives, committed to building a great startup ecosystem for startups in India, came together to create magic at the Nagpur Innofest on the 5th of March 2017. 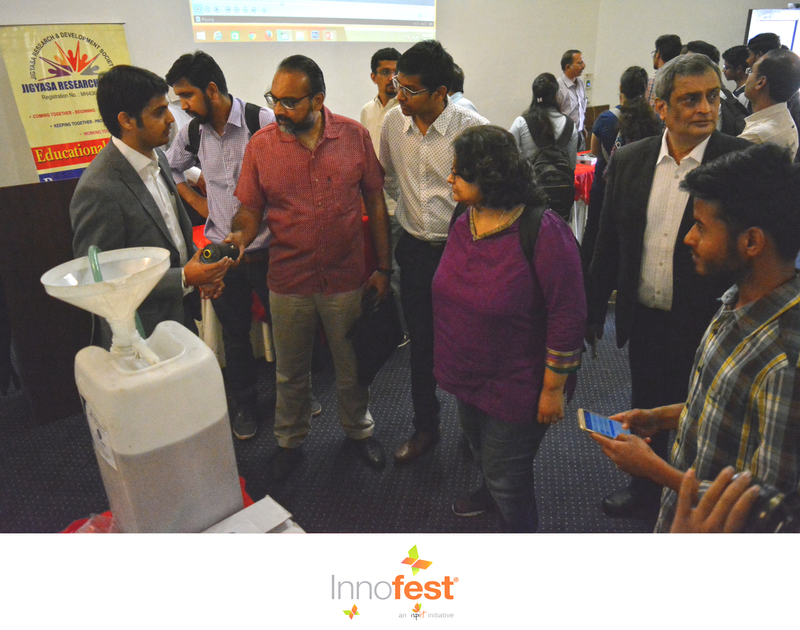 Innofest is a platform where innovators can connect with enablers, experts, mentors to build, create, connect, improvise & explore. It’s a movement on ‘Innovation’ in India. 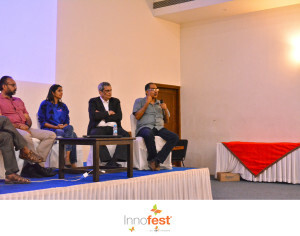 The first Innofest of 2017 was held at Nagpur, with over 150 slated to attend the event. However, the organisers were pleasantly surprised to cater to over 250 people that eventually attended the event. The keynote addresses were made by Sharad Sharma, Co-Founder iSPIRT and Nagaprakasham, who is an investor. There were multiple workshops during the entire day. Over 10 interesting hardware products were showcased at the event. Right from a 3D printing machine, collision-detecting devices, IoT based tracking devices, ultrasonic sensors, drone technology to the very unique e-funnel. Nagaprakasham talked about the trend of creating copycat technologies and emphasized how innovation must ensure that newer technologies are able to touch more and more Indian lives. India’s strength lies in its humongous manpower, ample farmers, cheap labour and last but not the least, its vast natural beauty. And they all must be leveraged for innovation. Subinder Khurana, held a session on Product innovation, where he talked about the essential ingredients of innovation. He pointed out that every venture must have a story of its own that is inspiring enough for not only the customers, but also family, friends, investors and other collateral stakeholders. On the concept of disruption, he clarified that breaking something is easy, but it must be done creatively. Has some new technology being leveraged? Is there a good story around it? Is some equilibrium being challenged, which will add value to the customers? Sharad Sharma spoke about IndiaStack and why it will be a critical step in helping creating new innovations for Bharath, he also explained about the building blocks as part of IndiaStack which include Aadhaar. He also spoke about how SAAS will be for India as Cyber Security is for Israel. He spoke so passionately that later during an audience interaction, Shashikant Choudhary, TiE Nagpur President felt that the entire stage was shaking and the podium would fall off. We had Radhesh Kanumury, Country Lead, Global Entrepreneur Program, IBM India Ltd having a fire side chat with Prajakt Raut. Radhesh spoke on the various technology trends giving good insights about them along with examples of innovative Startups working on those areas. Another session, led by Prajakt Raut was on creating Business Plans. According to him b-plans are critical indicators of the real status of the business as it gives us a framework for assessing the business. The plans give us early warning signals of something that is not going right. It is important for every Founder to know the answers to these questions: What problem or opportunity are we addressing? (The market/ target audience). How are we addressing it? How are we planning to do it? (Organisations & operations planning) what skills are required? (What are the competencies that are required to handle the business). Why are you doing it? We also held the iKen Workshop which was facilitated by Rakesh Debur and Kavita Arora of Bangalore Makerspaces joined us to mentor the innovators. This entire activity was possible because of the support of TiE Nagpur and the people of Nagpur who joined us on a Sunday. Traxafe is an advanced, tiny IOT based tracking device for kids, elders and cars. It’s based on GPS, GSM and BEACON technology connected with a user-friendly app to keep track of your loved ones. E-Funnel is an electronic fluid gauging device. It measures any quantum of fluid flowing through it. All the information information of every fluid filling can be accessed through a mobile app or through our website on your desktop. It will be available for different variants of diesel generators, trucks and buses. collision to analysing the vehicle analytics.i-Scream is assisted with our IoT-based crash sensor and emergency response software which helps us to both keep a track on you and make you feel safe at the same time. In today’s age, almost all of you would have heard about the generation of millennials. Most of the people tend to identify them based on their years of birth, but frankly speaking it is their lifestyle that speaks much louder. Well, are you ready to go on a short tour de reconnaissance? Let me help you in decoding and simplifying how do these people (especially in India) live, work and play. But before we delve into that trinity, it is pertinent to reflect on their background and how did they evolve. Owning personal electronic gadgets allowed them to experience and perceive the peers of other geographies via TV series like Friends, The Big Bang Theory and more. Social networking seems to come naturally to them but in actuality, they have lived through the full spectrum starting from the basic ones like Orkut to the more mature ones like Facebook and now the downright crazy ones like Snapchat. Thanks to the low cost android smartphone boom and the perennial 3G/4G connections in the Indian urban economy, literally every one of them owns one and can’t imagine a moment without it. This has perpetuated all parts of their daily life – from tuning the body clock to phone alarms, to booking the first cab to office, to ordering their lunches online, to casually browsing through shopping portals, to listening to music all day long, to finally ending the day with of chatting and posting. And no surprises, that in order to save cost (primary reason), 82% of them still live in their parents’ home. Since their life is social, why should work be any different? And that is why we see almost of the organizations adopting the tools like Slack, Workspace, Skype and more. Not only that, but most of the people are working completely on these networks alone! Their business would shut down if that social platform goes for a toss. Another interesting fact is that they are hungry and broke a lot. And I really mean a lot. For many of the younger ones, foregoing food for a fancy purchase seems like a no-brainer affirmative. Since they have a lifestyle to portray to the society and the aspirations are pretty high, so short term urges like sleep are easily forgotten. Since embracing the screen age, the problem of finding ‘friends’ is pretty much over. It is a different thing altogether that they may not even know the name of the person living next door. This has also changed the spending and purchasing behavior. Around 55% of them never feel the need to own a vehicle, and in fact are counting on technology to replace the whole notion of owning a car. This goes in line with the point that earlier, young college kids (US culture) mostly bought a car in order to show off to their friends, and now those friends are mostly virtual or online. If you carefully observe the trends and how the age is evolving, you can see that we have now clearly entered the age of social commerce. An age where shopping and spending money is not a solitary activity (albeit in a few utility cases), but it becomes a collaborative affair. An age where peer pressure determines to a lot of extent, where we eat, drink, party, travel or live. An age where social network and payments mingle and become indistinguishable for most of the cases. The wheels are in motion, and like we all know, the evolution cannot stop or reverse. It is bound to happen and it will be a mixture of aspects that you may come to appreciate and some that you may not. P.S. Disclosure, I am a millennial myself, building a company in the domain of ‘Social P2P Payments’ for this generation of Indian millennials. When I started out as an entrepreneur the journey was fueled by big dreams that were perhaps a bit too daring. It wasn’t smooth sailing and early days were tough. Life in a startup is dotted with challenges that can be overcome only by sacrifice. Bootstrapping required a lot of restraint – both professionally and personally. Leaving a good-paying job at Zoho and trying to build a company meant cutting a lot of corners. We had to forgo luxuries, back out from family & vacation time, self-inflict pay cuts and moved into an apartment-turned office. However, the biggest gripe was lack of access to the tools and services we loved. From basic necessities like Mail or CRM solution to universally used tools like Photoshop and Invision seem like a luxury when bootstrapping. As the saying goes ‘Nothing good comes for free’. We were pushed to try and find open-source alternatives. But they were nothing but painful compromises! It hurt us a lot – we couldn’t get things done in the same timescale as we could’ve. A lot of products, tools and services do have offers but there were none tailor-made for the struggling startups. We had to make do with the free stuff and somehow managed to get our product out! Our product attracted funding and things slowly started to change and got to a better place. However, we still remember the struggles of our startup life! Somewhere amidst the mad rush of shifting to our new office and redesigning our logo, I realized that it’s time I gave back to the startup community. The easiest option was to provide a free trial extension for startups but it rather made sense to initiate a change! Every solution, product or service a startup requires is most likely what another startup is working on and if we are able to set up a mutual sharing, we can surge ahead as a single startup ecosystem! This is the idea behind #RespectStartups, powered by Zarget, for the startup community. It is an opportunity for every startup, no matter how small, to make an impact and reach out in a big way. I personally urge every entrepreneur to look at this as an opportune moment to give back to the community. Voice your opinions about the movement with #RespectStartups on social media. Guest Post by Arvind Parthiban, Co-founder & CEO of Zarget. He loves travelling, is a foodie and is crazy about football, a Chelsea fanatic. With 12 years of experience in the SaaS industry, now into startup life. Looking from Silicon Valley upon the progress that India has made in building a digital infrastructure, I am in awe. The U.S. tech industry fancies itself as the global leader in innovation, yet India has leapt far ahead of it. Silicon Valley’s tech investors hype complex technologies such as Bitcoin and blockchain. But India, with simple and practical innovations and massive grunt work, has built a digital infrastructure that will soon process billions more transactions than these do. India is about to skip two generations of financial technologies and build something as monumental as China’s Great Wall and America’s interstate highways. Though few people in the West know of Aadhar, it has been the largest and most successful I.T. project in the world. There was widespread skepticism that a billion people could be provided with a verifiable digital identity, yet it has occurred, in a short six years. Hundreds of millions of people who were doomed to live in the shadows of the informal economy can now participate as equals in the global economy. Thanks to Jan Dhan Yojana, they also have bank accounts; these already haveRs. 69000 crores in deposits. The reason investors are pouring billions of dollars into technologies such as Bitcoin is that they provide a secure way of linking a person to and recording a transaction. But Bitcoin requires massive, wasteful, computing resources to do what is called mining: transactions’ mathematical verification. And this complex computing infrastructure needs constantly improvement as it hits transaction limits. The simple design of India’s digital payments infrastructure, Unified Payments Interface (UPI), allows banks to transfer money directly to each other based on an Aadhar number or mobile-phone number plus pin. Yes, this doesn’t have the anonymity of Bitcoin, but I would argue that anonymity is mainly for money laundering and tax evasion—which need to be eliminated. There is almost no overhead in UPI, and transactions happen within seconds rather than the 10 minutes that Bitcoin takes. In the U.S., we pay an indirect tax of 2–3% on consumer transactions because of the use of credit cards. Companies such as Visa, Mastercard, and American Express don’t even manage the money or provide banking services; all they do is to act as an intermediary between banks. The merchant has the responsibility of verifying the identity of a customer. With UPI, India doesn’t need credit cards or middlemen, it can build the next generation of finance. The instant and non-repudiable proof of identity that Aadhaar’s know your customer technology, e-KYC, provides, gives India a big advantage. Most people in the U.S. have drivers licenses and social security numbers. But these are not verifiable with biometrics or mobile numbers, so complex verification technologies need to be built into every financial system. 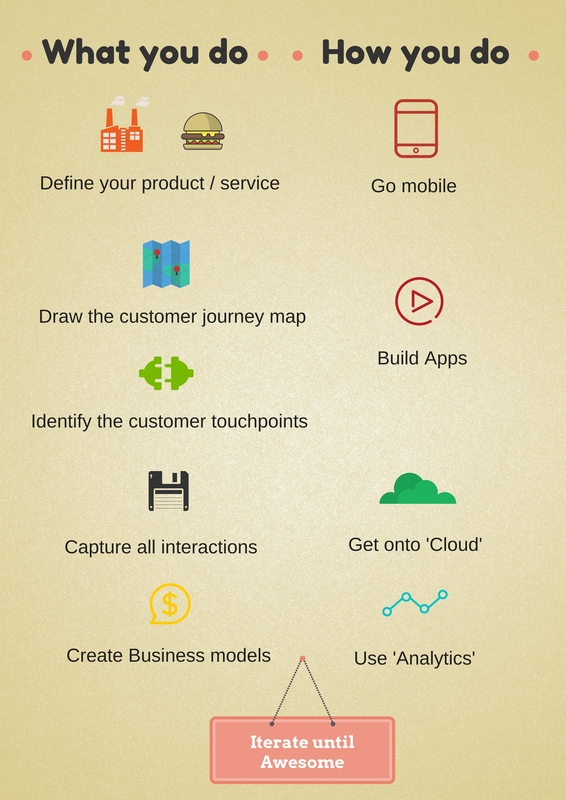 Indian entrepreneurs building applications don’t need to worry about all this. Going beyond money, India Stack provides a digital locker through which to store and share personal data such as addresses, medical records, and employment records. With this, the government is providing a public service that is the digital equivalent of roads and electricity. I don’t know of any other country that has anything comparable; India will soon have the digital equivalent of super-highways. There are all sorts of benefits. For example, the opening of a mobile-phone account is a lengthy process everywhere, because telecom carriers must verify the user’s identity and credit history. With India Stack, all it requires is a thumbprint or retina scan and permission to share digital documents. The typical villager presently has no chance of getting a small-business loan, because he or she does not have a credit history or verifiable credentials. With India Stack, he or she can share digital copies of bank statements and utility-bill payments, and life-insurance policies and loans can receive instantaneous approval. Nandan Nilekeni is right when he says that these advances “represent the biggest advance globally in public digital infrastructure since the Internet and GPS”. In an email to me, he predicted that they will “lead to a leapfrogging on many fronts, including a digital financial platform for a billion people which does not require cards, POS machines or ATMs but will be entirely driven by what is in your hand—your finger and your phone”. Prime Minister Modi has taken a lot of fire for demonetization. This is understandable, given the hardships and the disruption to the economy that it created. But it was a bold move and one that will produce tremendous long-term benefit—because it will accelerate the push to digital currency. India has the opportunity to enter an age of transparency and be at the forefront of digital technologies. Nobel Prize–winning economist Joseph Stiglitz said in Davos that the U.S. should follow Modi’s lead in phasing out currency and moving toward a digital economy, because it would have “benefits that outweigh the cost”. Speaking of the inequity and corruption that is becoming an issue in the U.S. and all over the world, he said “I believe very strongly that countries like the United States could and should move to a digital currency so that you would have the ability to trace this kind of corruption”. Yes, India is ahead and America can learn from it. Guest post by Prof. Vivek Wadhwa, Distinguished Fellow, Carnegie Mellon University Engineering at Silicon Valley. Former entrepreneur. Syndicated columnist for Washington Post. Do you sound familiar with the situation explained below? 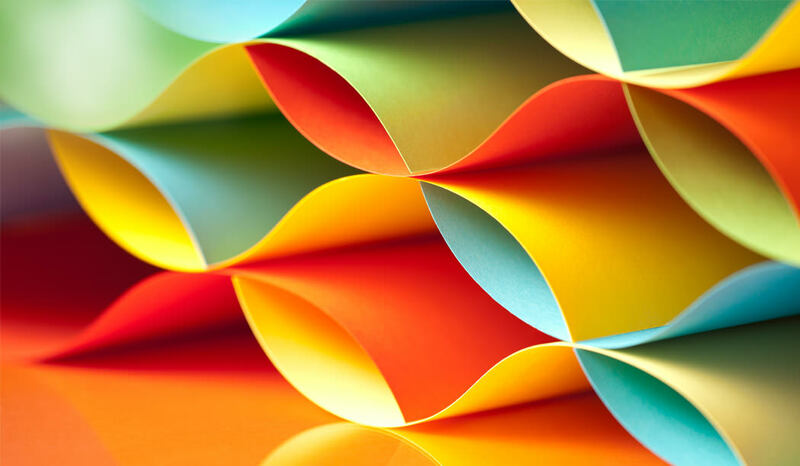 You started out with a Custom Off-the-Shelf (COTS) CRM product suite, but your user adoption changed dramatically, owing to Scale and Technology Transformation, thus leaving you to think over to a new deployment model. Or perhaps, you purchased your Point of Sale (POS) system many years ago and now decided that it is time to switch to mobile network retail solution. The cost of maintenance could be high or you feel it is time to minimize CAPEX. All of these situations put you in a position to find the need of solving heavy infrastructure concerns and thus make business operation lean, which at the same time must not disrupt the business continuity. Often, an overwhelming task. Any business transformation is not easy for organizations to adopt and there are pain points associated with it. Be it the On-Premise products/applications behaviour that has gone outclassed or the products/applications dispensability – that require changed approach to position the organization competitively. For specific business functions with high need of control over such products/applications and data even at the price of higher management efforts and slightly more time to market, organizations are accelerating towards the possibilities of cloud adoption. Thus cloud has become a serious business proposition slab from products perspectives. When deciding to implement a new business management product, there are many factors that need to be considered. Up until the beginning of this decade, choice of deployment, how to deploy and where to deploy – was NOT one of these considerations. Nowadays, most evaluations of solution / product / application platforms include the question of – whether to model the platforms “On-Premise” or “On-Demand”. Most enterprises are tending to evaluate if putting the buck on hosting applications on the cloud is the way forward or not. The answer to this difficult question really depends on the technology landscape of the company and the complexity of operations. For example, a new age start up or an ISV may consider a “Cloud First” model, where all the infrastructure, applications and products may deem suitable to be migrated to the cloud. This greatly simplifies the IT model for that company and allows a provision of leveraging a pay-for-consumption based model. In turn, it results into the galvanization of resource costings, achieving a business flexibility in the initial stages of start-up formation, thus relieving a surplus of cost for low hanging fruits. However, enterprises with legacy applications and investments in existing datacentres should evaluate key considerations before moving to the cloud model. There are always two sides of the coin while arriving at a business decision of: if in-house infrastructure model will suit for business applications or a SaaS model. Where expensive take, long implementation times, debilitated user augmentation, inflexible licensing plans might be taking the sheen off the On-Premise journeys, that may have left vast quantities of product suites sitting unused on shelves; In contrast, SaaS journeys provide a ‘pay per use’ subscription model, no IT infrastructure to maintain in-house, better user uptake and shorter deployment periods – could appear a bright oven to cook. Where security and uptime concerns and criticisms about the lack of customisation on SaaS model derive some amount of restraints, On-Premise models can be configured to fit exact business requirements and might suit better large organizations that have complex integration needs. Where the SaaS model eliminates the need for provisioning of systems upgrades (with upgrading the entire technology stack – the database, the servers, the operating system, the system integrations, etc.) for the company against the service provider – the On-Premise computing products allow the possibilities of having complete control over the data and information– thus, to be able to access information at any time without restriction. While ROI is effectively recognized quickly with On-Demand model, many thoughts also seem to appear that the recurring monthly fees involved in the invoicing approach make them a bit more expensive option than On-Premise models in the long run. Forrester Research has pointed out that although On-Demand product suites eliminate big initial investments, they can however include monthly substantial fees, such as for industry-specific functionalities, additional storage fees, integration with On-Premise applications, etc. But it could also be equally argued that long-term TCO of On-Premise product suites is equally unknown. Can you guarantee how much you need to budget for additional servers and storage in five years? Or how costly the next upgrade project is going to be? And as you need an in-house IT resource to manage and maintain those systems – will that head count go up or down? Some organizations hurry up towards adopting a ‘cloud only’ approach, assuming cost savings are a guarantee. But not all applications are meant for the public cloud, and moving them may cost more. 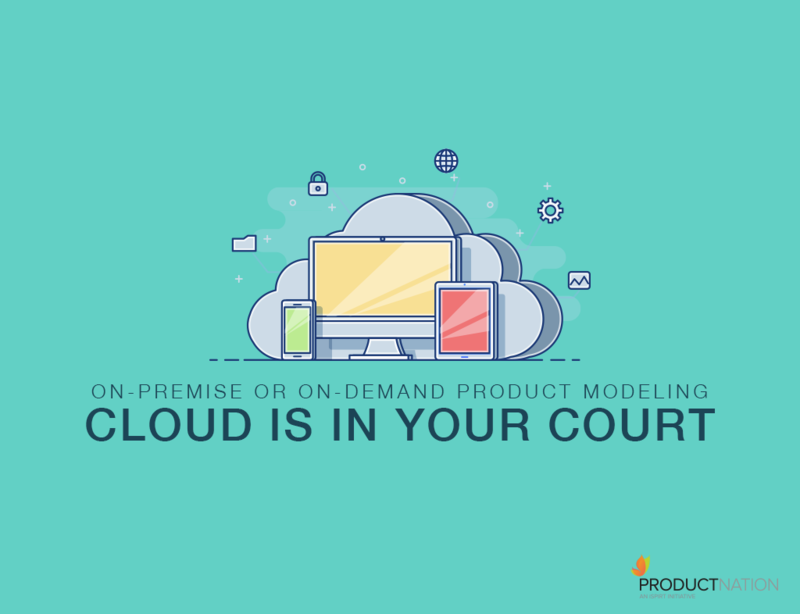 Choosing On-Demand or an On-Premise product modelling solutions can be tricky, especially since both have pros and cons and can ultimately dictate successes of the enterprise. Whatever direction that the organizations decide to go in, relates to what the end user customer experiences show up in the end revenues. For large global companies, forging effective partnerships with high-potential start-ups is easier said than done. The very traits that make such start-ups potentially complementary as partners also make it difficult for large companies to engage with them in the first place. Multinational corporations often struggle event to identify promising potential start-up partners, while start-ups find it difficult to identify and reach the relevant decision makers within the often-confusing hierarchies of giant multinationals. The challenge is even greater for both sides in emerging markets. To understand how multinational companies have partnered successfully with start-ups in emerging markets, CEIBS Associate Professor of International Business & Strategy Shameen Prashantham has co-authored a research study in three major emerging market economies: India, China and South Africa. The study focussed on non-equity partnering through start-up engagement programmes such as Microsoft’s BizSpark, IBM’s Global Entrepreneur Programme, and SAP’s Start-up Focus programme. The findings also highlight the importance for Western multinationals to recognize differences among emerging markets. Different emerging markets have distinct national priorities, regulations, and differing scales of economic activity and entrepreneurship which will affect the strategies of multinationals. These things must also be taken into account if multinational companies are to succeed in creating mutual value for themselves and their start-up partners. The results of the study are featured in the Winter 2017 edition of MIT Sloan Management Review which Prof. Prashantham co-authored with Prof. George S. Yip of Imperial College Business School in London. Read the article here.